Secrets of the Brain Unravelled: How optogenetics can be improved with external light? How optogenetics can be improved with external light? I am surprise to see an article titled as “Smallest implantable device can control brain patterns” appeared in a popular news paper called Deccan Deccan Chronicle dated 28-4-2018 stating Scientists have developed implantable device –no bigger than the width of a coin –that can be used to control brain patterns. The device converts infrared light into blue light to control neural activity and is both the smallest and lightest wireless optical biodevice to be reported. For centuries, it has been known that chemicals can change neural behaviour. The field of optogenetics proved that neural behaviour can also be changed with light. 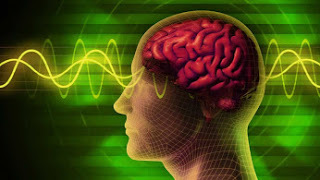 It is now known that light can activate certain proteins in the brain to change brain patterns. Accordingly, scientists have implanted optical devices to successfully control the behaviour of rodents using nothing more than light of specific wavelengths as the stimulus. This was also stated by Prof. Ahmed H. Zewail who won the Nobel Prize in year 1999 for his invention in “Femtochemistry” could open up new possibilities” appeared in ‘The Hindu dated 23-10-2002.
it is very, very easy to increase the level of voltage in the brain through my invented Medical Instrument that enhances the dipole dipole force is nothing but ‘Higgs Boson Particle strengthens all the ionize blood cells to carry more oxygen in them. Through this excess oxygen generates more energy that strengthens all mitochondrial organelle cells to store the excess energy in each and every cell that paves the way for freshness. This excess freshness in the body makes the exercise easy on the very first day compared to regular physical exercise. Further, this excess energy of freshness not only makes the cells very active but it also inhibits most of the non-communicable diseases including pleiotrophic causing diseases get delayed. Thus it paves way for the expansion of human life.